We have recommendations for those who want to buy gulets or motor yachts for sale Turkey, we have a wide variety of alternative yachts for sale Turkey. if you let us know which yacht for sale you are interested in, you can choose from similar Yachts for Sale. we will provide you with the calculation of the actual cost for your decision making process. we will help you to have a trouble-free yacht with the best possible prices. 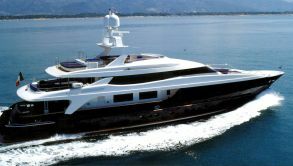 The sale of luxury yachts for sale Turkey can become a significant enterprise, and with such a transaction it is necessary to consult with the services of an experienced professional. once we are appointed as the central agent for sale of a yacht, our sales and marketing team works hard to develop and implement an adapted strategy for a quick and successful sale. we begin to promote the yachts for sale turkey directly to clients who already have made an inquiry with us as prospect yacht buyers around the world. We use our brokerage network of regular customers and referrals for an aggressive marketing of the yachts for sale Turkey. Using an active approach to direct contacts with prospect buyers, including telephone, e-mail, and when available sending hard copy brochures and face-to-face meetings, we produce positive results for our customers.